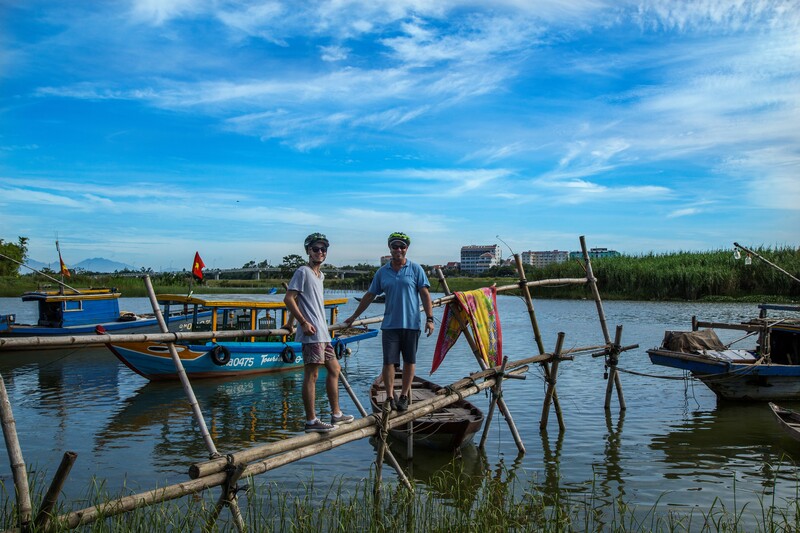 This combined bike and kayak tour will let you not only explore the countryside of Hoi An and meet the locals but also see the river life of the area. Just a short cycle through Hoi An old town, and you will find yourself in the rural Hoi An where many artisans are still living the same life their ancestors would have hundreds of years ago. Throughout our bike tour, we will take several stops, which include some hands-on fun at local workshops, rice fields, and the shipyard. After a fulfilling morning exploring on the bikes, we will enjoy a delicious lunch break at a local house to get properly refueled. Returning to the bikes, we will cycle a little further along the riverside then board kayaks to take in the sights from water level. Paddling through the water at a gentle pace, we will come by the interesting sights of Hoi An that you can only fully enjoy from the water, which includes the little fishing hamlets, a great spot to view fishermen returning with a successful day's catch. Continue riding to one of Hoi An's most beautiful villages, stopping at a family home to learn about the tradition of family chapels.